Disguised as extreme adventurers, a group of high profile thieves unknowingly lead a group of wealthy tourists on an expedition through an abandoned salt mine that is guarded by ancient creatures. In 1948, a group of miners finds a gallery full of emeralds in a salt mine in Switzerland, but they are attacked by giant black beetles and only one of them survives. In the present days, the explorer John Palmer is ready to take vacations in Greece with his family when he is contacted and invited by a stranger called Vincent to lead his team in an expedition into a mine in Switzerland. In return, Vincent offers a large amount to John and the cottage nearby a lake and the entrance of the mine for his family to spend the vacation. John accepts the offer, and while leading the group underground in the tunnels, he finds that their ambitious leader Marcel is a very dangerous man. 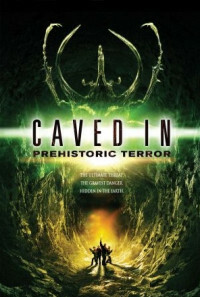 When John meets giant black beetles in the cave, he orders the group to return but Marcel threatens the safety of his family, forcing John to lead the team to the deep location of the emerald mine. Regions are unavailable for this movie. Click the "Watch on Netflix" button to find out if Caved In is playing in your country.